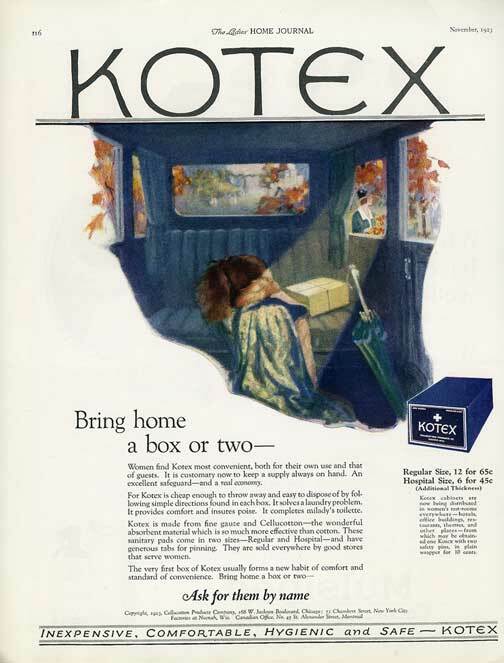 This ad typifies Kotex's early 1920s advertising in its lushness and upper-middle class (and above) appearance (see another 1923 ad). The fur coat and tennis racket in the back seat of an expensive car talk money. Although there is at least one early ad featuring working women (here), most seem aimed at women who could afford to throw away a relatively expensive product. And note the phrase "milady's toilette." And through the right rear window you see milady out picking flowers (or leaves? ), I hope not withering them as was once believed and as a woman once did in a genital spray ad. 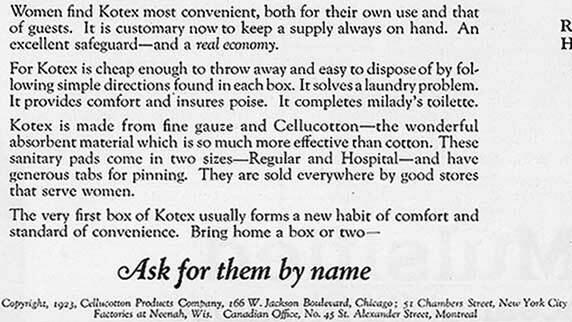 The laundry problem Kotex mentions - washable menstrual pads - an earlier ad explicitly shows, here. See an Italian washable pad from right before this time. 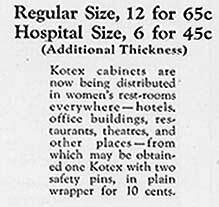 The tiny text refers to Kotex pad dispensers (here) and to the napkins within (see one from the 1930s). (see one from the 1930s).